It is a big day for all participants of “Distilled Nano Ideas” Competition, especially for the finalists. It is big pleasure to announce final results of the winners. Thanks to each of you who became a part of Nanopinion history for the hard work, participation, sharing amazing ideas and being together with us! Only we all together can make better world! This video describes the drug delivery system presently and in the future. Nowadays the anti-cancer drug kills all the cells even the healthy ones, but thanks to nanotechnology we are close to get a new wiser medicine that kills only the cancer cells. We think that targeted drugs are important to humans, so we decided to make a video about it. The idea was to show all sources of nature's ideas that nanoscientists imitate to solve society problems. The team of 5 students worked on this project. They searched for different objects from nature and later they did it by they own from clay. Totally 9 objects like gecko, toucan, burrs, shark, spider, lotus leather, namibian beetle, butterfly wings and jewel beetle were found and they are imitating by nano scientists in order to solve different society’s problems. 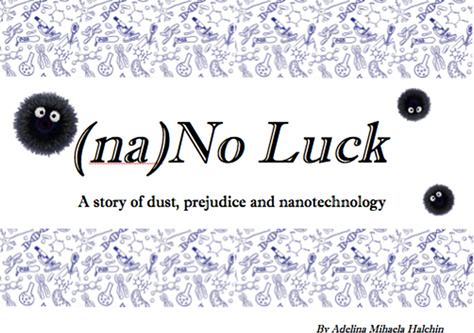 It is the story of a dust particle that travels the country to search for the perfect surface to sit on, but lands on a self-cleaning window in London. I’ll use it till it gets rife. So be very careful, dude. Carefully it will lead to sucess. Not only information and amusement. So they really need improvement. would be by nanco tech defined. And that makes the milk go sour. We must get rid of it for sure. To show you how fresh’s the meat. But first we need to solve the high price matter. To make them almost flawless I believe. In all domains it would be a relief. Smart food packaging makes it all perfect. Lastly making it go to waste. Today it is no longer the case! All for the sake of nurture. Nanotechnology has invented the answer for all of our problems: NANOSOCKS. Nanosocks are special socks, created for daily use. They prevent the sweat and, also, the unpleasant odors. A first evaluation round was conducted by a group of 4 experts composed of NanOpinion partners, education experts and experts with the depth knowledge on nanotechnology. This panel analyses all 117 entries, with a distinction between the two age groups and only 21 entries were chosen to the final. Only the best entries have been presented to the Grand Jury, composed of the advisory board and members of the NanOpinion consortium – team of 19 experts (different specialists in nanotechnology, education and relevant aspects). From the shortlist, the jury awarded 1 winner per age category. After all works appeared online, the public became an evaluator and by clicking like it was chosen the most liked work. All decisions reached by the jury are final and may not be contested. A total of 3 winners (one per each age category and public choice) will receive main prize: NanoTool Kit Box which each box value at over 200 Euros. 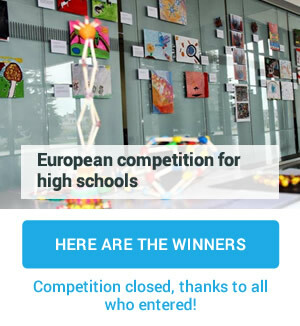 Participants (from the same country, teacher and school) can only win in one category. Every participant will receive the certificate of participant, finalist or the winner that is going to send by email to the participants by the end of this month. Relevance to nanotechnology topic and accuracy of the knowledge presented. Originality of entries, pertinence, novelty, creativity and didactical approach, will all be taken into account during the evaluation process. All works should be funny, interesting, attractive and in any other way original. Pedagogical Value: Clear goals and objectives, motivation, presentation of resources, specific learning tasks, adaptability to individual needs will be taken into account during the evaluation process. Impact of the actions undertaken by teachers and students. Judges will be looking for evidence of successful knowledge transfer. Relation to Nanopinion project, what kind of Nanopinion tools were used for the projects. Clarity of ideas and conclusions, explaining in a clear way, demonstrating a good understanding of the theme and conveying convincing implementation methods, solutions and messages. Presentation of entries, style, layout, design and good use of technology will be considered. 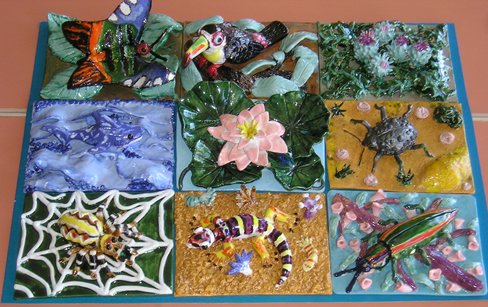 Show your ideas through arts: paint, produce a 3 min video, compose a song, make a sculpture, etc. Submit your artwork through the competition page and share it through social media mentioning @nanopinion on Twitter or @nanochannels on Facebook. Become the best NanOpinion ambassador! Dates: The contest will open on the 31th of January and will end on the 1st of May 2014. Prize: The winners will be awarded with a NanoTool Kit Box, which is valued at over 200€, and will be announced on the NanOpinion portal and Facebook. Click here to see the complete NanOpinion competition guidelines. Are you interested in current information on new nanoproducts on the market? nanopinion is an EC-funded project bringing together 17 partners from 11 countries with the aim of monitoring public opinion on what we hope from innovation with nanotechnologies. The project is aimed citizens with a special focus on hard-to-reach target groups, which are people who do not normally encounter and give their opinion nanotechnologies at first hand. Dialogue is facilitated online and in outreach events in 30 countries presenting different participatory formats. To promote an informed debate, we also run a strong press & social media campaign and offer a repository with more than 150 resources. The work presented in this website is supported by the European Union's Framework Programme for Research and Development (FP7) - Nanosciences, nanotechnologies, materials and new production technologies (Grant agreement NP 290575). The content of this website is the sole responsibility of the Consortium Members and it does not represent the opinion of the European Union (EU). The EU is not responsible or liable for any use that might be made of information contained herein.